Your graduation is a once in a lifetime celebration, and MK Limo brings you the means to treat it as such. Bringing you the service you need to truly capture the feeling of import as you head to your Cypress graduation in class, whether with friends, family, or on your own. 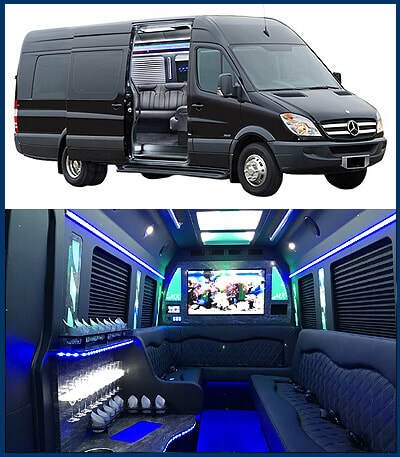 Your arrival and departure will be marked in the highest level of style as you prepare to take that step from young adulthood into the next chapter of your life in style, comfort and class. Every one of our limousine options are guaranteed to make an impact on your arrival to your graduation. We bring you immaculately detailed vehicles that will be sure to turn the heads of classmates and faculty alike. No matter the plans you face for the rest of your life after your school journey ends, you can be sure that we will bring you the means to mark this occasion in a way like no other. Taking a big step in your life is a celebration that only comes around a handful of times, take the chance to capitalize on its impact. ​Your celebration is a mile marker you will face as you put your academic career behind you, and MK Limo understands the importance of this event. You can depend on us bringing you a full service offering that will have you and any passengers feeling the effects of the day the moment we pull up to your Cypress driveway. Whether celebrating your movement to more academia, or the transformation from student to working class, you can depend on us to ensure that this event will be marked with the best possible start as you make your way to school one last time. ​We bring you a full line of vehicles to choose from, giving you the widest ability to choose the overall tone and feel of your graduation. Whether you’re looking for a simple vehicle for yourself, a stretch option for family and friends, or to hit the grounds in a stretch SUV of your choice that is sure to make an impression, you can expect MK Limo to deliver. Your Cypress graduation will be one that you can look back on fondly for years to come with an added level of style and sophistication. ​MK Limo ensures that your day will go your way, and just because the ceremony ends, doesn’t mean that your day has to. Our professional drivers will take you where you want to go after your Cypress graduation, whether you want to head right home, or to take another tour of the city that you may be leaving behind on your venture to college or university. We bring you an open ended service that allows you to capitalize on the day, and to truly celebrate in the way you want to from the first pick up, to the final drop off back home once again.